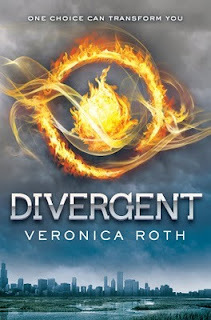 Divergent by Veronica Roth is the first book in the Divergent trilogy. Beatrice "Tris" Prior has reached the fateful age of sixteen, the stage at which teenagers must select which of five factions to join for life. Each faction represents a virtue: Candor, Abnegation, Dauntless, Amity, and Erudite. This was one of the first dystopian books I have read and I really enjoyed reading it. It was wonderfully thought out and wonderfully written! Oooo I really want to read this one!